Design your own version of Albee the alien. Have you met our alien Albee? He features in all of our reading worlds and in EVERY game, to help you on your reading journeys. He makes funny sounds and celebrates when you complete each game! 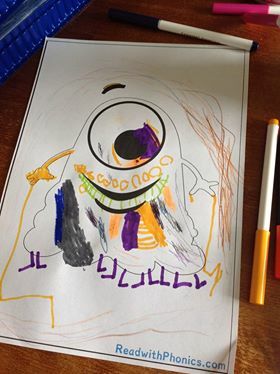 So we thought it would be fun if you were able to design your own Albee the alien. Take a look at some of our little user's Albee designs! 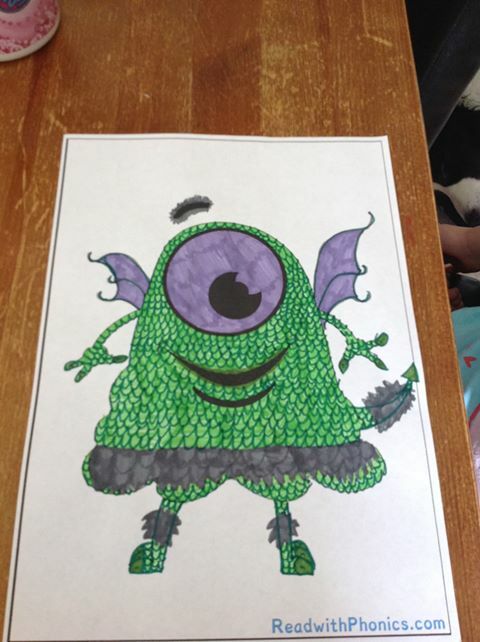 Have you designed your own Albee the alien? If so send your designs in to sophie@readwithphonics.com to win Albee the alien stickers! Why not use our online phonics games to reinforce your target sound in the starter or plenary of your lesson? Take a look at our Phonics Flashcards for a great way to start your next phonics lessons!